There’s no such thing as a free lunch. Or so said Ronald Reagan. This seemingly obvious statement, relating to how you should work for your daily bread, is finding strong opposition nowadays in the ever stronger growing voices in favour of universal basic income. We’ve written about it before, but just to recap: universal basic income is an income that every citizen receives without any conditions. That way, everybody can pay for their needs to live modestly, yet comfortably, without being forced into labour. But can this work? Should it even be attempted? The Austrian economist and film maker Christian Tod dedicated an entire film to these questions. In a combination of documentary and essay with a message, Tod interviews array of researchers, businessmen, politicians and recipients of pioneering basic income grants, to shed light on the basic principles and potential effects. 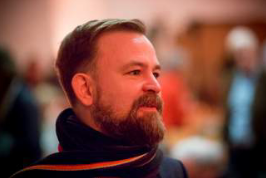 We had the chance to ask Tod directly how thinks about basic income. Scroll down to read all about his aha-moments. When did you decide a film about universal basic income was due? The extract from Star Trek at the beginning of the film is more than a casual reference. Seeing a science fiction series like Star Trek – Next Generation when I was young really was a defining influence. It presents a society where there’s no money, where people only work because they really want to, and where they are driven by human curiosity. When I was coming to the end of my studies of economics and needed a subject for a thesis, the vision of an unconditional basic income was already in the back of my mind. I’ve been working intensely on this concept since 2006. What do you see as the largest benefit of universal basic income? Basic income is not just about the redistribution of money – it’s about the redistribution of power from the elites to all of us. With basic income we have more time, motivation and security to actively participate in decision-making processes in our society, which would strengthen our democracies and prevent the rise of authoritarian regimes. What do you view as the biggest obstacles to basic income? What do you think does it take to overcome those obstacles? While filming and researching for ‘Free Lunch Society’ what was your own aha-moment? What really surprised me is that basic income was such a big deal in the United States 50 years ago. In the late 60s basic income was seriously considered as a way to end poverty in the States once and for all. There was support from the left and from the right, from Martin Luther King to Milton Friedman and even Richard Nixon. Subsequently the US government initiated the largest and most expensive social experiments to date, four basic income experiments which lasted through the 1970s. When Ronald Reagan came to power, the experiments ended and basic income disappeared from the political agenda. What statement or moment did not make it into the movie, but did make a big impression on you? In Berkeley I met a guy who was one of the original occupants of People’s Park in Berkeley in the 1960s, an old hippie, who told me about the student protests and how Ronald Reagan as governor of California didn’t hesitate to use military force to bring them down. I did a long interview with him, but it didn’t have a place in the film for dramaturgical reasons. 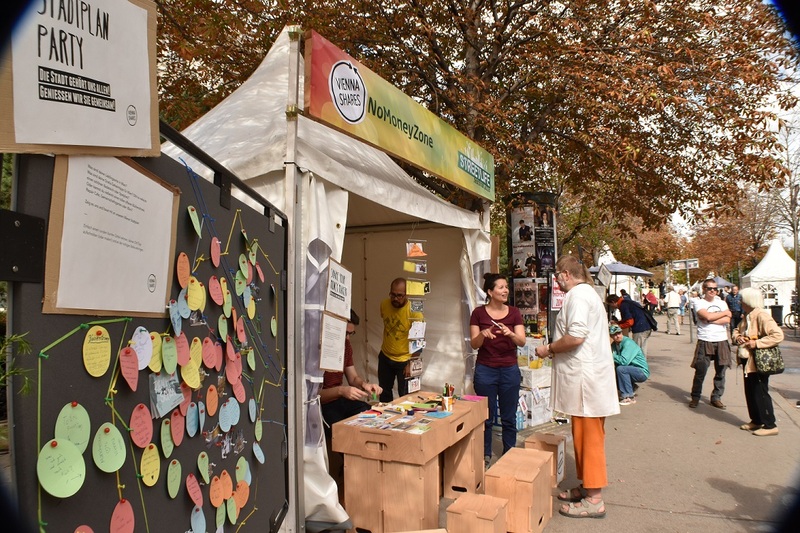 Back in December, when we hosted your movie for the pre-premiere at This Human World Festival, you told us that you want to set up a real ‘Free Lunch Society’. What’s happening there? We’ve had our first real free lunch on May 12th. 40 people won a meal and we talked about basic income in a restaurant. We plan to do this on a regular basis. You should keep an eye out on our website or follow us for the next dates. You can do so and find out more: on their website or follow them on Facebook. 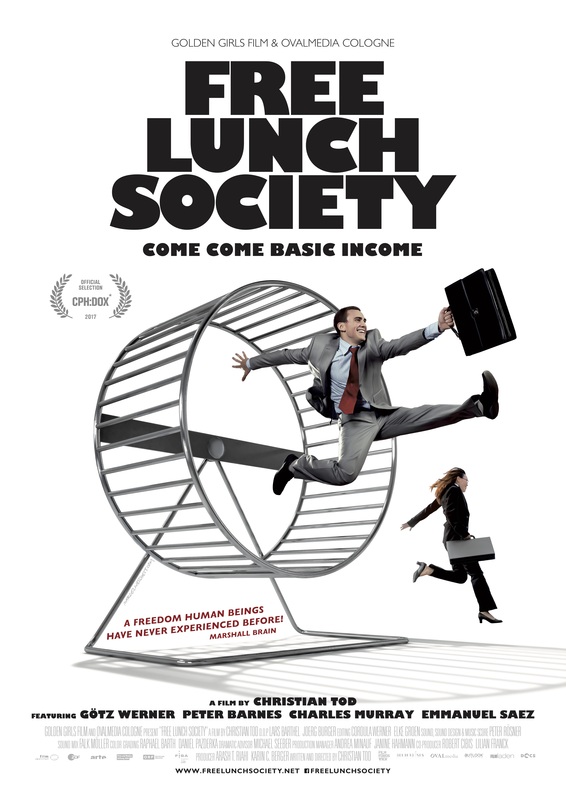 Free Lunch Society is playing in Viennese cinemas for at least another two weeks. Check out VotivKino, Apollo, Burg Kino, Cinecenter and Village Cinemas Wien Mitte. I saw this wonderful film in Lisbon at the 17th Congress of the Basic Income Earth Network (BIEN). Great exposition of the principles of UBI with a nice touch of humor. See it! Glad you liked it, Peter. It’s one of our favorites as well!